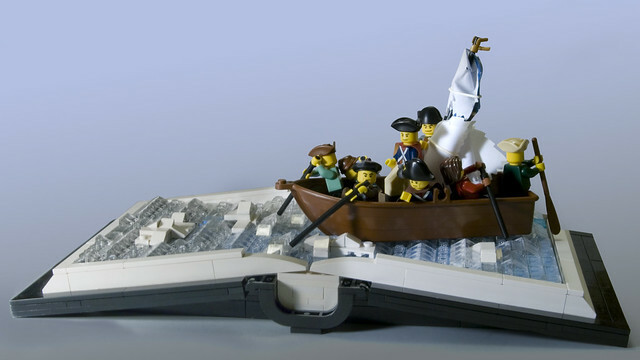 This MOC makes history pop off the page (pun by BiggerJim). I don't know what porschecm2 built this for, he calls it a "thing for a thing", but it's brilliant. It makes my inner patriot heart soar to see my favorite bricks reproducing such an iconic image. And having it in a book, inspired.